Address Plaque with Turtle - - arch shape ceramic address sign personalized with the street number and street name you provide. Made in USA. Turtle accent and address are deeply carved and then hand-painted in weather-resistant finishes. Four accent colors (shown in small images from left to right): dark blue, green, sea blue, or coral. 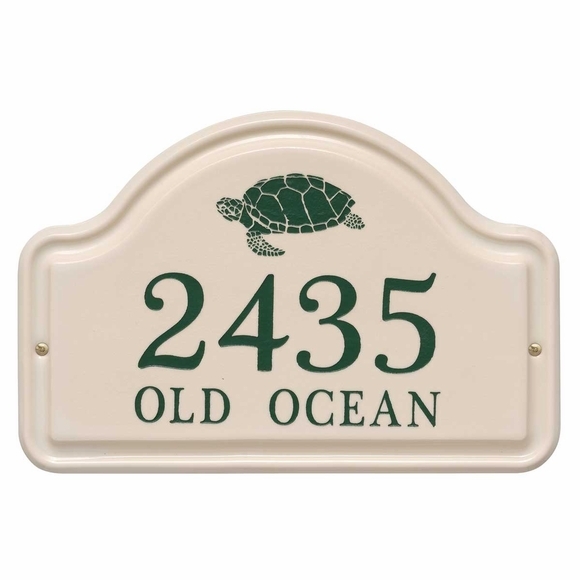 Ceramic house plaque includes a friendly turtle accent and two line address.